Up In The Clouds at TCY. 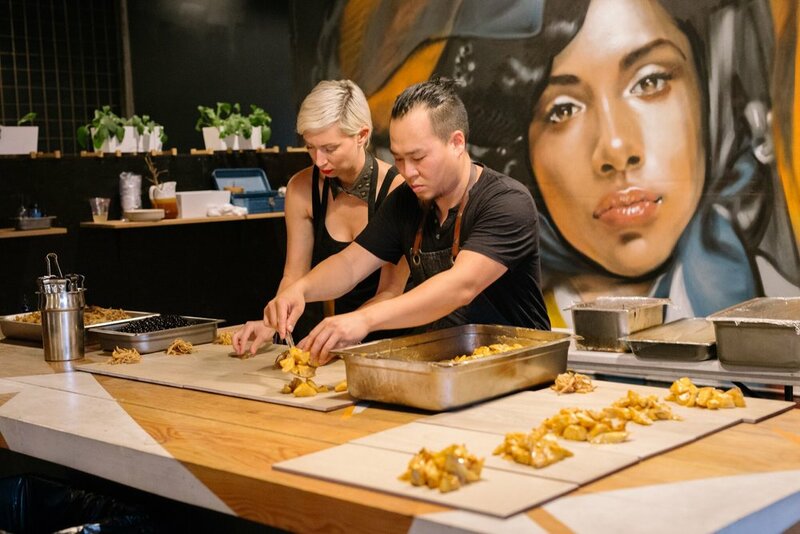 Chef Tofer flexed his culinary skills and scientific methodology to prepare a meticulously curated five-course dinner with vibrantly flavored custom cocktails, cannabis infusion optional. @Vu Do Child dropped some dope live painting while DJ @Ireeshlal set the mood with his electronic jazz trumpet improvisations. Check out www.popcultivate.com/events or follow @Chef Tofer and @Pop Cultivate for their next Cannabis Supper Club event! Follow @TheContainerYard and stay up on our blog to see upcoming events!